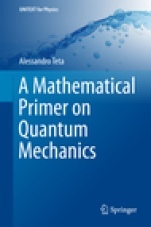 This book offers a rigorous yet elementary approach to quantum mechanics that will meet the needs of Master's-level Mathematics students and is equally suitable for Physics students who are interested in gaining a deeper understanding of the mathematical structure of the theory. Throughout the coverage, which is limited to single-particle quantum mechanics, the focus is on formulating theory and developing applications in a mathematically precise manner. Following a review of selected key concepts in classical physics and the historical background, the basic elements of the theory of operators in Hilbert spaces are presented and used to formulate the rules of quantum mechanics. The discussion then turns to free particles, harmonic oscillators, delta potential, and hydrogen atoms, providing rigorous proofs of the corresponding dynamical properties. 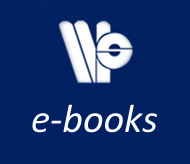 Starting from an analysis of these applications, readers are subsequently introduced to more advanced topics such as the classical limit, scattering theory, and spectral analysis of Schroedinger operators. The main content is complemented by numerous exercises that stimulate interactive learning and help readers check their progress. Author Biography: Alessandro Teta is an Associate Professor in the Department of Mathematics "G. Castelnuovo", University of Rome "La Sapienza", Rome, Italy. He graduated in Physics from the University of Napoli in 1985 and then completed a PhD in Mathematical Physics at S.I.S.S.A. Trieste. In 1992 he was appointed Researcher in Mathematical Physics at University of Roma "La Sapienza" and in 1999 became Associate Professor in Mathematical Physics at Universita' di L'Aquila. In 2013 he completed his Habilitation to full professor in Mathematical Physics. Dr. Teta's research interests include the effective behavior of inhomogeneous media and mathematical problems in quantum mechanics: scattering theory, spectral analysis, Schroedinger operators with zero-range interactions, nonlinear Schroedinger equations, effective equations for systems of infinite quantum particles, the classical limit, decoherence, and models of cloud chamber. Dr. Teta is a member of the International Association of Mathematical Physics and the International Research Center on Mathematics and Mechanics of Complex Systems. He has presented numerous invited talks at conferences in Italy and across Europe. Preface.- 1. Brief Review of Hamiltonian Mechanics and Electromagnetism.- 2. From Planck's Hypothesis to Bohr's Atom.- 3. Schrodinger Equation.- 4. Linear Operators in Hilbert Spaces.- 5. Rules of Quantum Mechanics.- 6. Free Particle.- 7. Harmonic Oscillator.- 8. Point Interaction.- 9. Hydrogen Atom.- 10. The Cloud Chamber Problem.- References.- Index.